Once good employees are in place, leaders must do all they can to retain them. Many leaders and companies don’t have a good system in place to retain their employees. This issue is compounded when you throw in the fire happy leaders. It is possible for the fire happy leaders to hire and train good employees then fire them on a whim. 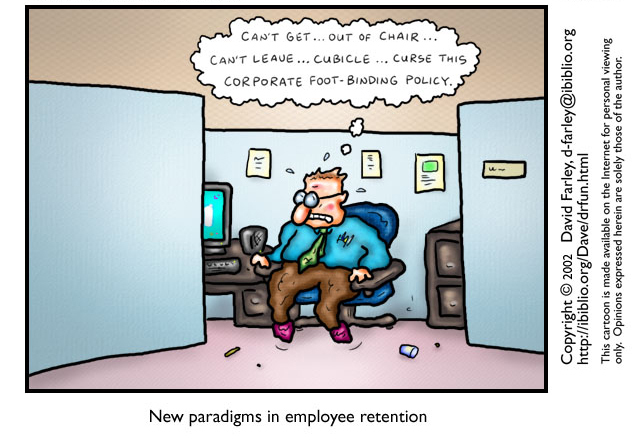 A good employee retention system is a key for keeping the qualified and trained employees. The fire happy leaders must have disincentives for firing people and incentives for employee retention. The employees should have performance incentives and retention programs. Firing Disincentives and Incentives Ultimately, fire happy leaders cost companies lots of money because each time a trained employee is lost, the company has spend money to train a new employee. With disincentives in place, fire happy leaders will slow down or stop firing people. The fire happy leaders that I am referring to are those that fire based on personality conflicts, differing opinions, etc. Some ways to disincentivize firing are pay freezes, pay cuts, holds on promotions, or demotions. Although some of these disincentives seem strong, it is very important for leaders to keep the trained employees within the company. The disincentives will encourage leaders to get over their personality conflicts for fear of punishment. The fire happy leaders can also be incentivized to keep good employees. The incentives will give the fire happy leaders a reason to not fire people. Some incentives that could be used are monetary bonuses, pay increases, promotions, and recognition. Performance Incentives and Retention Programs In addition, measures must be in place to keep the qualified employees within the company. Leaders should encourage employees to become more knowledgeable on company standards and practices. They should also encourage employees to learn and understand areas of the company outside their specific responsibilities. As the employees are proactive to learn the standards and practices, they should be rewarded for their efforts. Some of the rewards could include promotions from within to leadership positions, pay raises, bonuses, etc. As the employees are rewarded for their efforts, they become the new leaders in the company. If the employees are not rewarded, they will begin to look to different companies for their rewards and compensation. Overall, companies that allow fire happy leaders to fire people spend more money training employees. This increases the cost for doing business and hurts the company, as well as, the share holders. In addition to the measures in place for the fire happy leaders, retention programs must also be in place to keep good employees within the company. What other measures should be in place to keep fire happy leaders from firing employees? What should leaders do to retain good employees? I have heard companies invest, on average, about $30,000 on each new hire.